Seventy, eighty, ninety years—who wouldn’t want to have extended years of healthy living? With the kind of lifestyle that this generation is living out, however, the chance of reaching a healthy, old age, is dwindling at an alarming rate. True, recent statistics may be showing good figures of life expectancy rates, but how healthy are we getting? Each year, roughly 900,000 Americans die from one of the five leading causes of death—heart problems, cancer, stroke, chronic respiratory diseases, and accidents. Also, over two-thirds of the American population suffers from weight problems. Add to the list is a recent epidemic, Ebola. What can be done to counter these? With the advent of technology, the field of medicine has been able to provide us with various drugs to fight the onslaught of diseases. Despite such great advancements, however, nothing can beat the human body’s capability to heal itself. Our immune system proves its worth as our doctor with its army of antibodies. When our body lacks nutrition or feels stressed, however, the efficacy of our immune system also declines, making us more vulnerable to diseases. We thus need nutritional supplements at an appropriate amount to ensure that our body gets enough of what we should have at a daily basis. And because they are supplements, they cannot and should not be food replacements. The first nutritional supplement that one should seriously consider is multivitamins. From the term itself, multivitamins provide the body with vitamins that cannot be easily obtained from the food we take alone. The vitamins include, but are not limited to, the following: Calcium, Vitamin B12, and Vitamin D. A word of caution, though, is in order. When choosing which multivitamin brand to buy, make sure that the product you will choose is all-natural. A lot of multivitamins in the market today contain synthetic nutrients that only make it harder for the body to absorb. Another dietary supplement that one should consider taking is protein. This nutrient is most needed especially by those who workout, as protein repairs muscles and helps in the body’s recovery from exercise. Fish, beans, poultry, whole grain, and nuts, are rich in protein, so if your diet is low on these foods, you should consider taking a protein supplement. Fats are also a necessary part of your diet! But before you react, you need to understand that what this article is talking about are healthy fats, not the trans fats found in processed food. Healthy fats, along with regular exercise, are particularly good for the heart. The best source for such healthy fats would be fish oil, which is rich in Omega 3 fatty acids. Whoever said that nutritional supplements are a waste of money has the facts twisted. 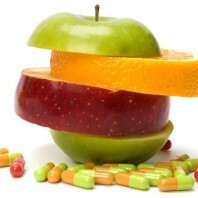 Nutritional supplements do work in extending and promoting a healthy life, provided that they are all-natural. If you still find that hard to believe, then try it and see for yourself. Ashley Sotelo is mainly a teacher, an English teacher to be exact, as well as a news writer and a radio broadcaster in her locality. She considers herself a logophile—a lover of words, and greatly enjoys writing about virtually anything and everything under the sun as a hobby. At present, she resides off the Western shores and is working on a short film as well as her debut book, both of which will be released soon. She’s currently writing for BRI Nutrition whose sole purpose is to provide safe and natural supplements.